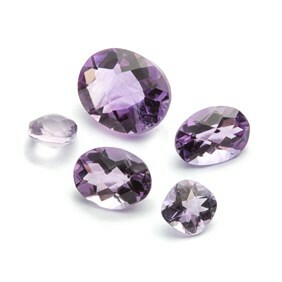 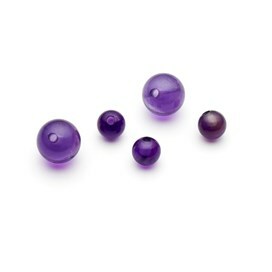 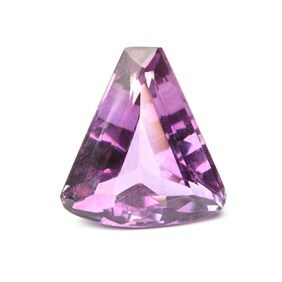 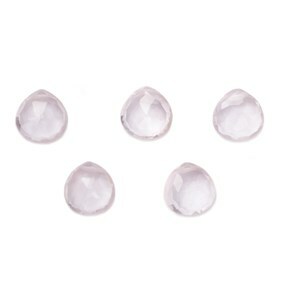 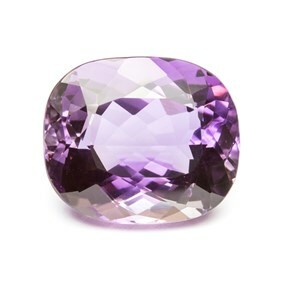 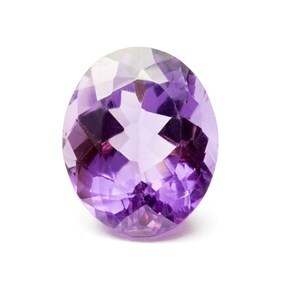 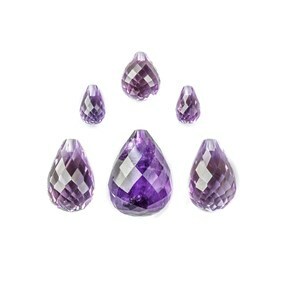 Amethyst is such a popular gemstone to use in jewellery designs and we are proud to provide a beautiful selection. 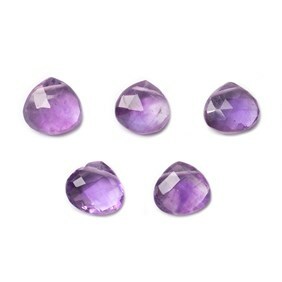 Explore our large collection of amethyst cabochons, faceted stones and beads below including, African amethyst, Brazillian amethyst as well as varieties in green, violet and lavender. 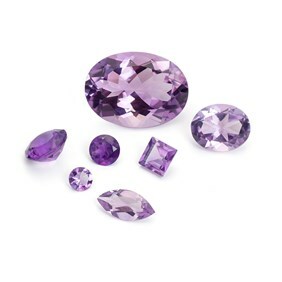 Amethyst is the violet variety of the quartz group (one of the most common minerals in the Earth's crust) and is the most highly valued member. 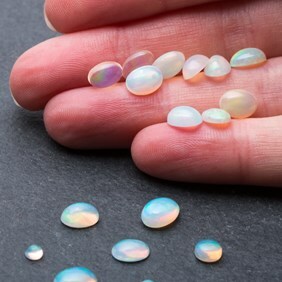 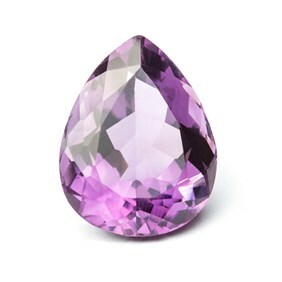 It is mined in Brazil, South Korea, India and Africa. 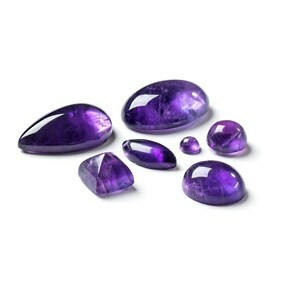 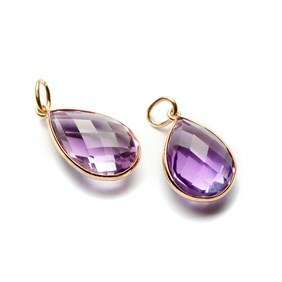 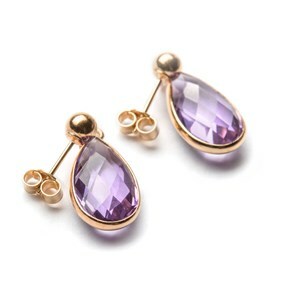 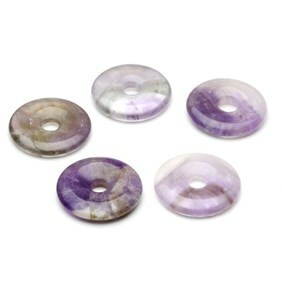 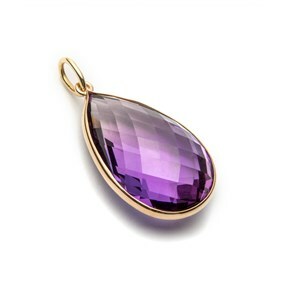 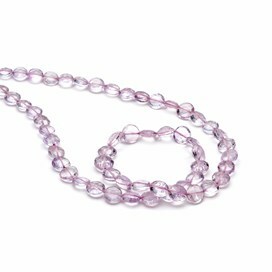 Amethyst has a stunning colouring which ranges from lilac, mauve to rich purple. 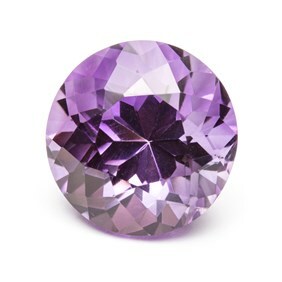 It measures 7 on the Moh’s hardness scale. 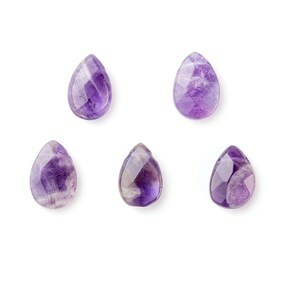 Amethyst is sometimes heat treated to enhance the purple colour of the stone or produce citrine and the green quartz Prasiolite. 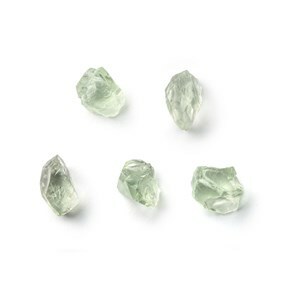 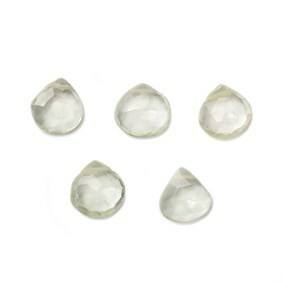 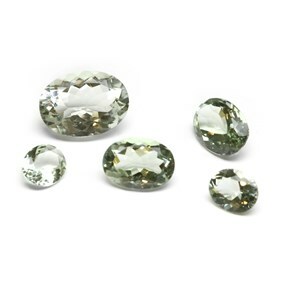 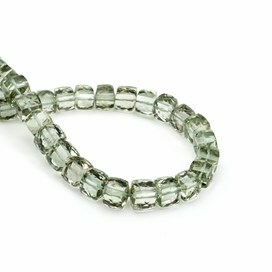 For example, our green amethyst faceted stones have been heat treated to produce a lovely pale green colour. 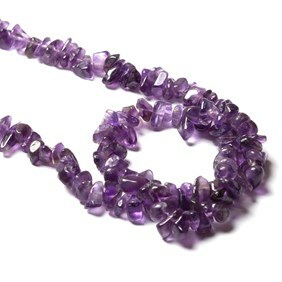 Amethyst is such a brilliant gemstone to use for jewellery making, its rich colour means you can create bold designs which stand out from the rest. 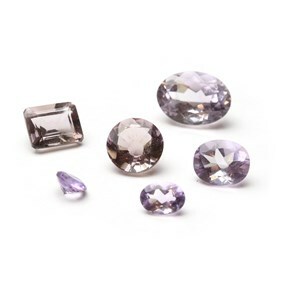 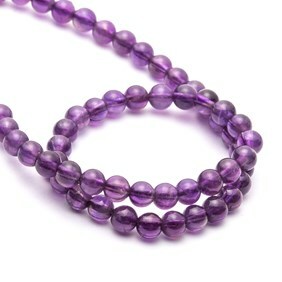 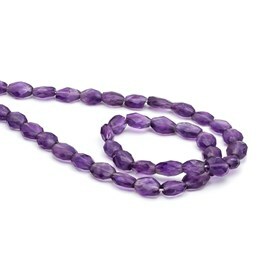 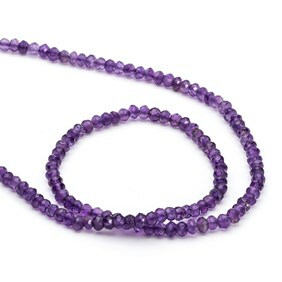 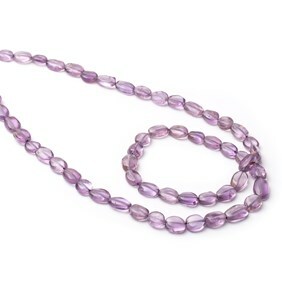 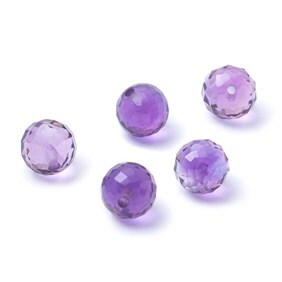 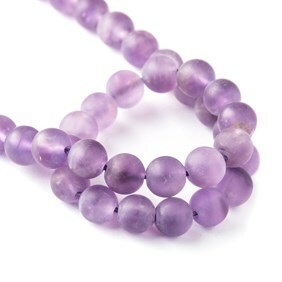 Explore our range of amethyst cabochons, faceted stones and beads - including African amethyst and Brazilian amethyst, as well as varieties in green, pink and lavender. 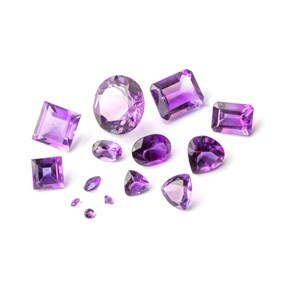 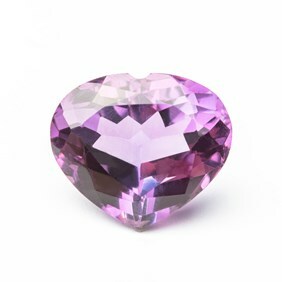 You may also like the gemstone ametrine, which is a natural mixture of amethyst and citrine (which is a beautiful yellow). 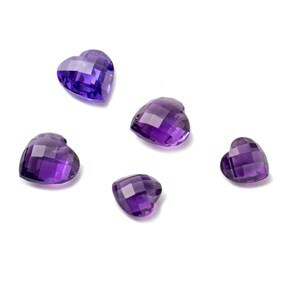 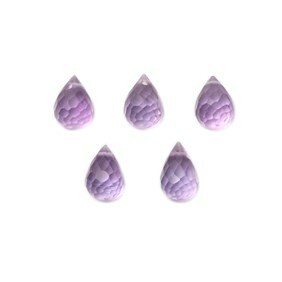 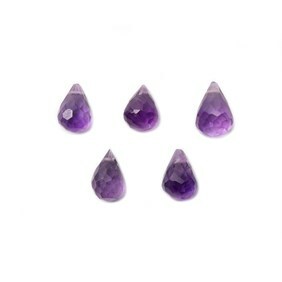 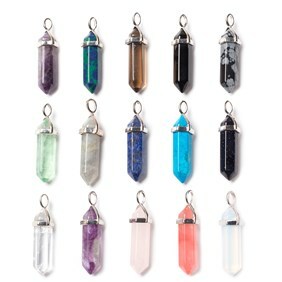 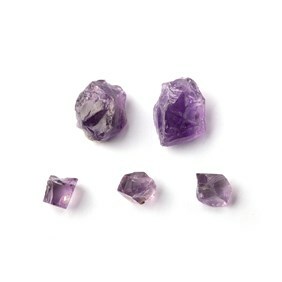 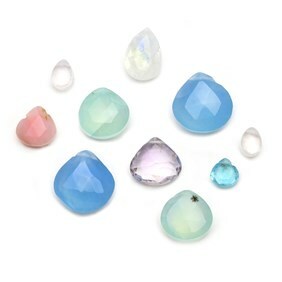 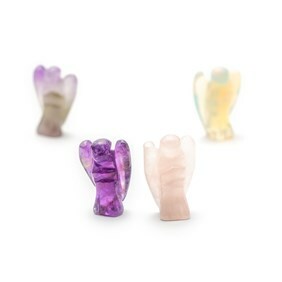 We also often have a range of amethyst in the form of angels, hearts and eggs for crystal healing. 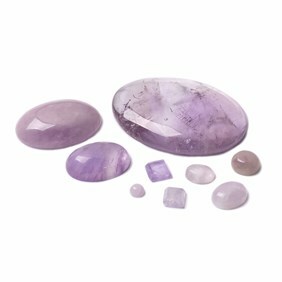 We would recommend keeping your amethyst stones out of sunlight, as this exposure to heat can cause the colour to deteriorate. 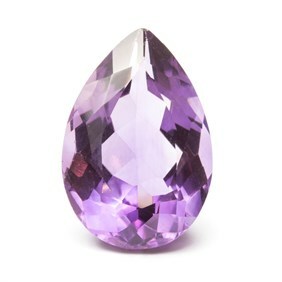 Amethyst is thought to be a protective stone and removes negative energies.